Even to this day, all of the iPhone 5’s specifications (larger display, higher-resolution camera, etc.) are still just rumors, and what better way to add to the speculation than with some amazing Android-powered smartphone concepts. We’ve rounded up five of the coolest for your viewing pleasure. 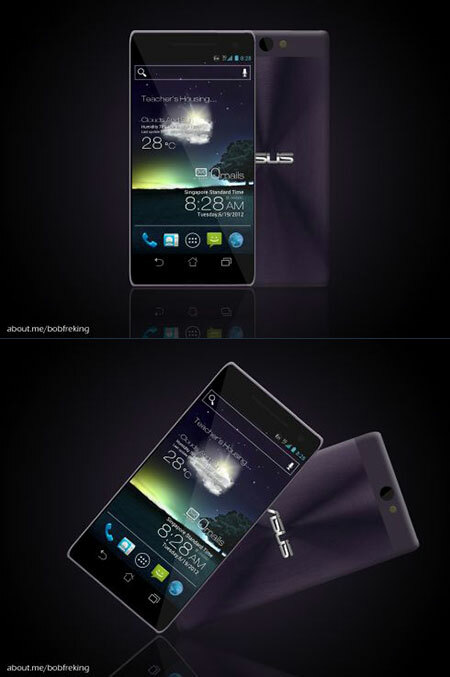 First up, we have the ASUS ZenPhone, which is powered by Android 4.0 and boasts a quad-core 1.9-GHz NVIDIA Tegra 3 processor as well as 32GB of onboard memory. Continue reading to see them all. 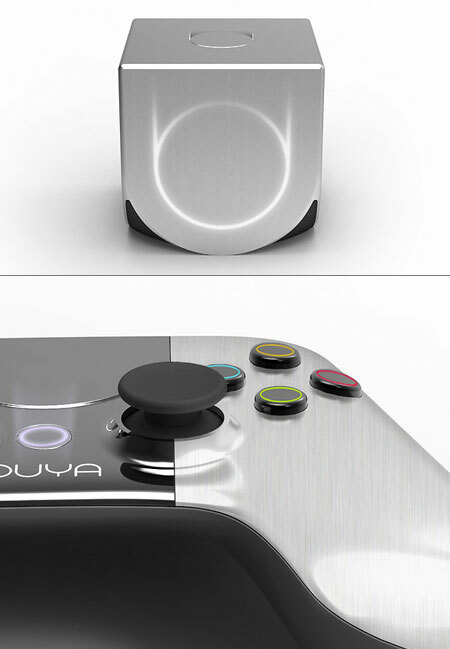 The idea behind Ouya, an open-source Android game console priced at just $99, was so popular that in just 2-days, the Kickstarter project raised over $2.6-million. It “will run an Nvidia Tegra 3 quad-core processor (just like the Nexus 7), 1GB of RAM, and 8GB of internal storage.” Continue reading for a video and more information. 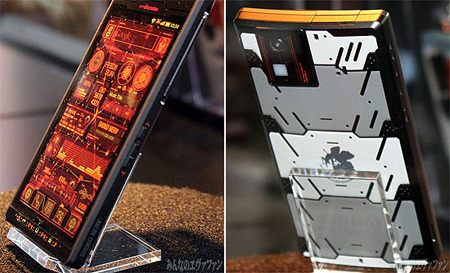 Sharps’ SH-06D Neon Genesis Evangelion smartphone could quite possibly be the coolest ever. 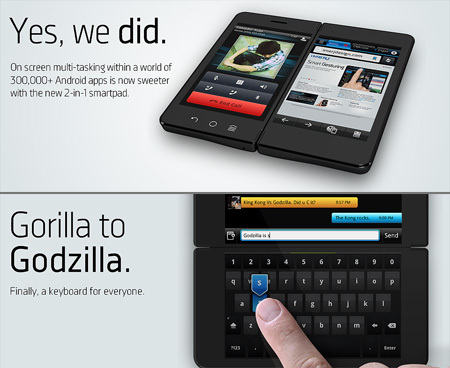 It boasts a custom Android skin, 1.2-GHz dual-core processor, and a 4.5-inch display. No word yet on pricing or availability. Click here for more pictures. Continue reading to see it in-action. Using it might be not be as functional and easy on the eyes as iOS or a stock build of Android is, but if you can train yourself to read those crazy Tokyoflash watches, a few days with the SH-06D be a cakewalk. 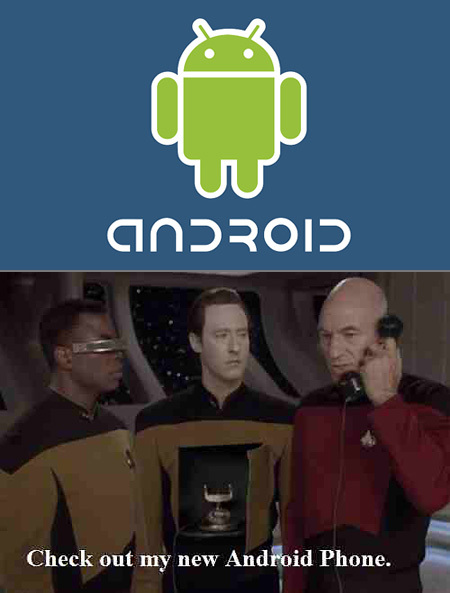 Star Trek: The Next Generation’s Captain Jean-Luc Picard can truly be considered a hipster, since he was using an Android phone even before they were cool, or could it be that technology has advanced so much in the future that classic gadgets, like the corded phone, become cool again. Click here to see more of today’s most popular images, courtesy of Imgur.com. Continue reading to see “12 Drawings a Day”, an animated diary. Overall, we’re thrilled with how the first ICS handset has turned out. It’s understated, sleek, beautiful and packs a display that’s destined to drop jaws. 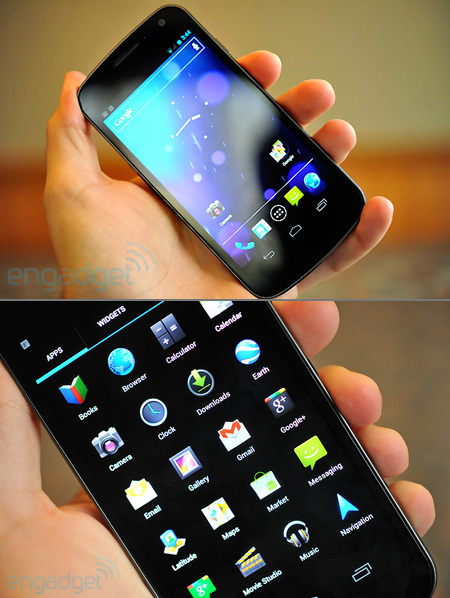 Ice Cream Sandwich has just been released, and Google / Samsung’s Galaxy Nexus smartphone is soon to follow. This latest update ditches passwords “for facial recognition technology to unlock phones.” Plus, there’s an all-new photo editor and an improved keyboard. Continue reading for a hands-on video. Siri isn’t the only game in town. You’ll be able to speak into the Galaxy Nexus and other Android 4.0 smartphones and type emails, SMS messages, and more with your voice with the text immediately appearing on the screen in front of you. 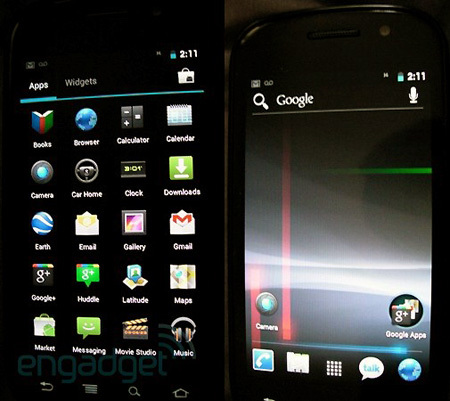 Finally, we get a nice (yet brief) preview of Google’s upcoming Android Ice Cream Sandwich update. You’ll spot “a new Google Apps icon which opens up a tray containing a number of featured services put out by the search giant, and long-pressing the home button brings up a vertical Honeycomb-style multitasking menu.” Video after the break. The notification bar, camera UI and other menus also have a much different look. Granted, all of this could just be a custom ROM built to emulate the latest Google dessert, so we can’t be a full hundred percent certain that it’s authentic. 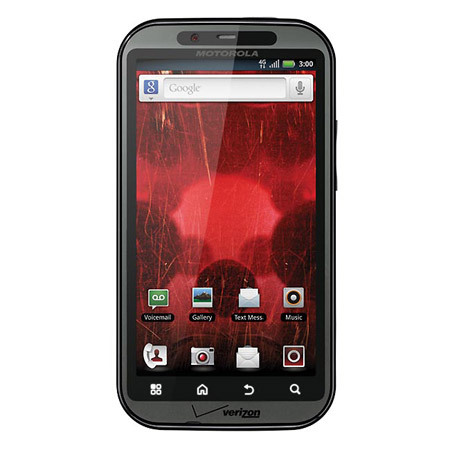 Motorola’s DROID Bionic is headed to Verizon Wireless this fall (September 8 possibly), and it’s definitely no slouch. Featuring a 4.3-inch touchscreen, 8.0MP camera, dual-core 1.0-GHz ARM Cortex-A9 processor, 512MB of RAM, 2GB of ROM, 16GB of internal memory, and 4G LTE suport. Video after the break. Click here for more pictures. Physically, the phone feels smooth in the same way a Droid 2 does, though a bit lighter — good news considering the LTE hardware and big display, but not entirely surprising when you take into account the lack of a sliding QWERTY keyboard. 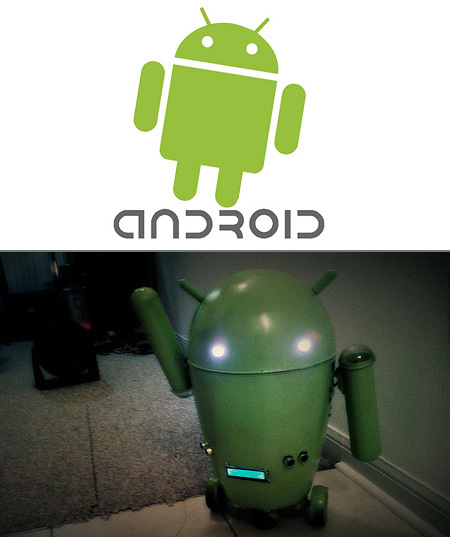 A Taiwan-based geek spent $103 (supplies) and 3-days transforming a trashcan into a fully-functional Google Android robot. It “was painted green and he had to tweak the lid by gluing the flipper part down and apparently sanding the old gap smooth.” Video after the break. Click here for more pictures. The RC Android bot is powered by an Arduino board and it is controlled remotely by a joystick of some sort. The little bot’s belly has an LCD that can show different messages. At first glance, the Smartpad may appear to be just another dual-touchscreen phone, but upon closer inspection, you’ll realize that it’s much more. 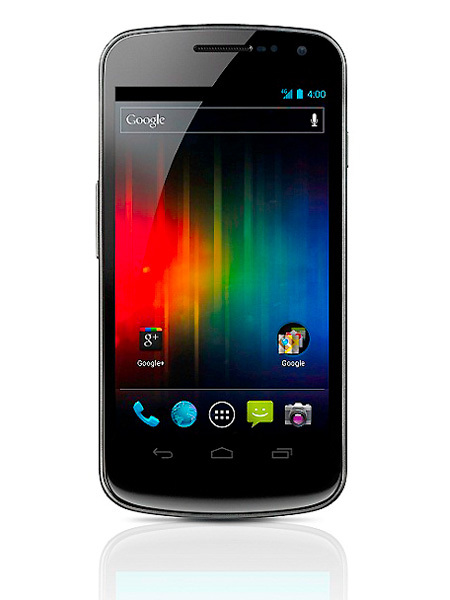 Powered by Android 2.3, it features two 4-inch AMOLD displays, dual-core TI OMAP processor, 1GB of DDR3 memory, 32GB of internal memory, and microSD expansion. Video after the break. Click here for the first picture in gallery. For not much extra thickness and a modest amount of extra heft you wind up with twice the screen size and, if indeed that 128GB model comes to pass, about four times the storage capacity of your average superphone of today.